Use TEGO.CLASS with your fellow teachers to share your daily lessons, absences and grades, and plan your daily school routine even more efficiently. You want every single one of your colleagues at your school to join you and TEGO.CLASS? It’s possible! In a shared account your fellow teachers will be able to see your schedule and vice versa. A perfect way to optimize substitute lessons and keep track of what exactly to teach. 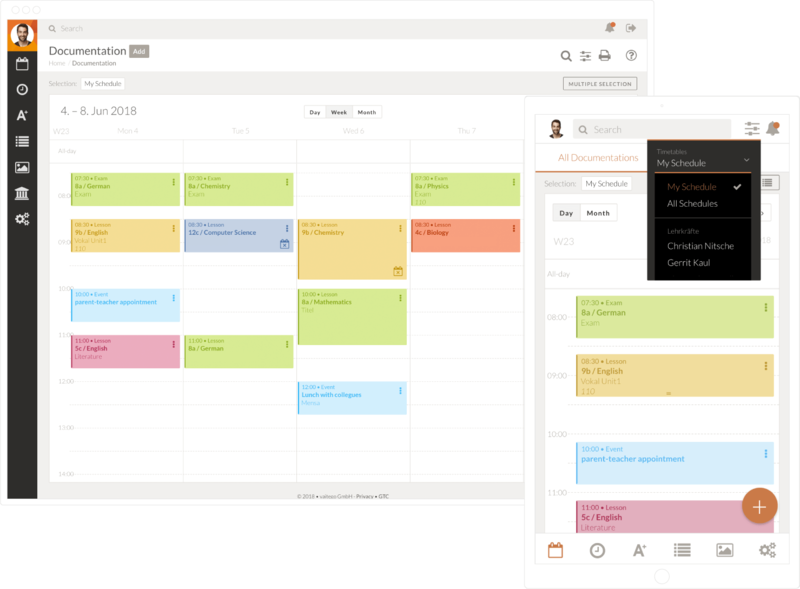 The shared schedule system put an end to accidentally scheduling tests for the same day your colleagues do. As soon as you add a test to your schedule, your colleagues using TEGO.CLASS will get notified – as well as when the maximum of tests per week is reached. Recording, managing and evaluating of absences is very time consuming. With a shared account in TEGO.CLASS it will be a thing of the past. 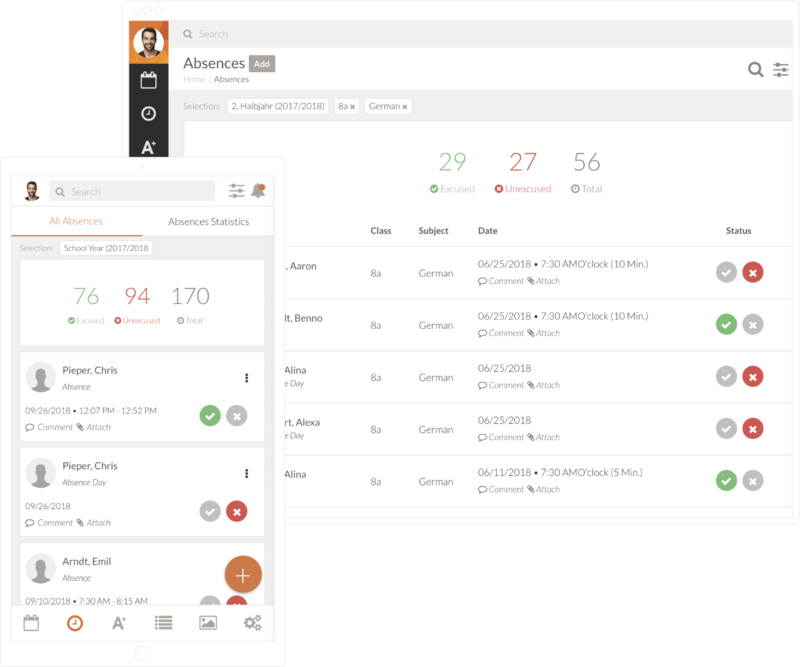 Together with your fellow teachers you can record absences and delays of your students. You will also be automatically informed with TEGO.CLASS, for example when a student was absent before your class. Sick days, missed periods or delays – all absences are automatically visible for you. Also review which of your students were absent without permission. The students’ profile walls and classes will be shared by all teachers, so that students’ evaluations of all subjects will be recorded on the profile wall. Absent days, missed periods and notes you’ve put down can be accessible by all teachers. 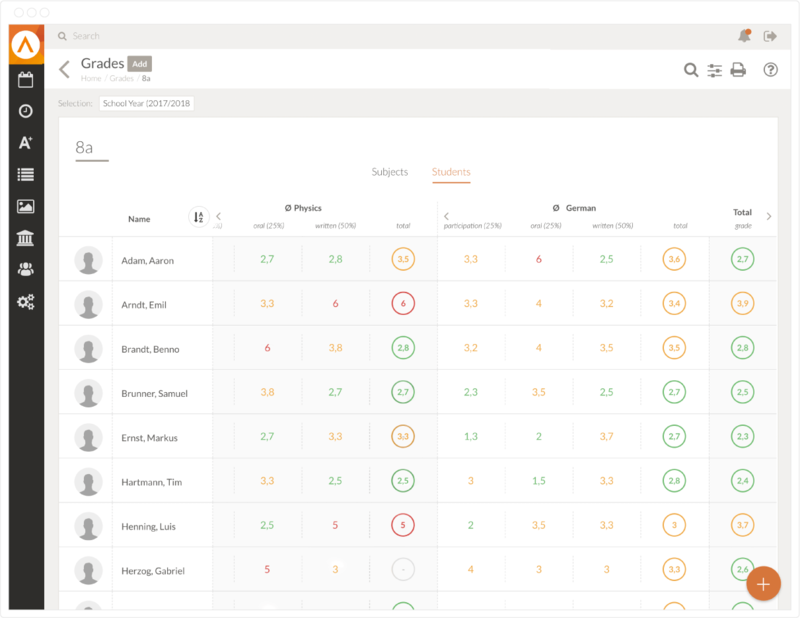 TEGO.CLASS makes it incredibly easy for you and your colleagues to access an overview of all grades for all your classes during report conferences, giving you a transparent look at your students’ and classes’ current performances. Try TEGO.CLASS and all that is has to offer for one month.